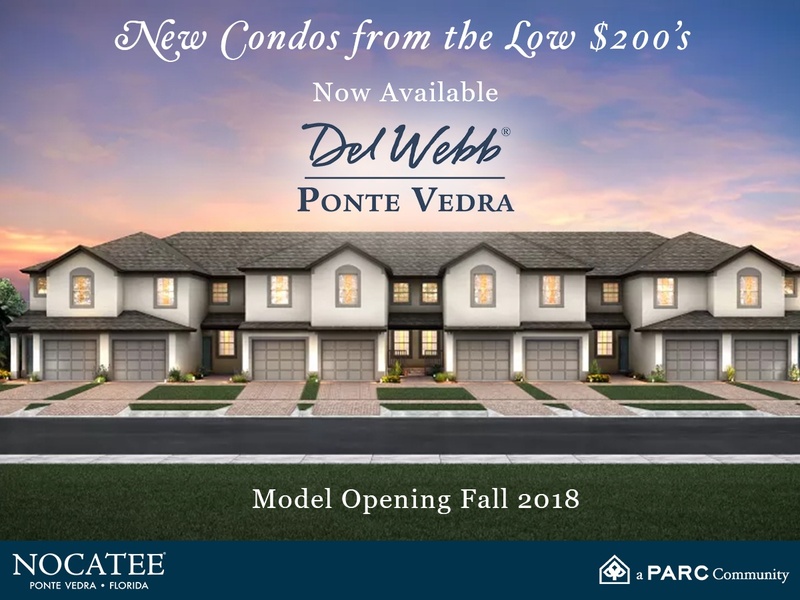 Pulte Homes is pleased to announce that construction is well underway on new condominiums in the 55+ community of Del Webb Ponte Vedra. The carriage-style condominiums start in the low $200's and include all exterior maintenance. Model-homes opening Fall 2018. Pulte Homes is offering 4 condominium floor-plans ranging from 1,457 to 1,868 square feet, with 2 to 3 bedrooms, 2 baths, and 1 car garages. Most condos will back up to preserve or water, allowing homeowners to fully enjoy the beauty of the surrounding nature. To preview the beautiful and functional design of these new home products, CLICK HERE. Stretching across 1,014 acres of pristine Florida landscape, the guard-gated Del Webb Ponte Vedra provides residents with an exciting variation of amenities and recreational venues. Relax poolside, grow something wonderful in the community garden, socialize within the 37,800-square-foot Anastasia Club... there's never not anything to do! There are so many specialized features for empty-nesters or retirees desiring the active “cruise ship on the ground” lifestyle. All Del Webb Ponte Vedra residents also have access to Nocatee’s full complement of amenities, including Splash Waterpark, Greenway Trails, the Nocatee Community Park and more. 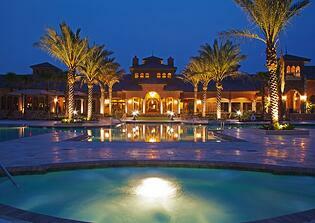 Coming-soon Nocatee community amenities include the nearby Nocatee Landing and the Nocatee Spray Park. For active-adults (55+) looking for a more carefree lifestyle and the option to "lock and leave", they need not look further. 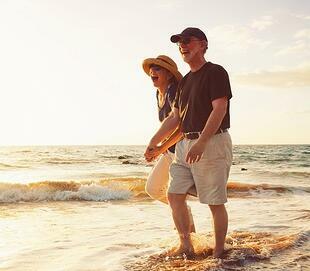 Let Del Webb Ponte Vedra and the master-planned Nocatee community turn life into a vacation! To learn more about the master-planned Nocatee community and new homes available, explore www.nocatee.com or stop by the Nocatee Welcome Center.